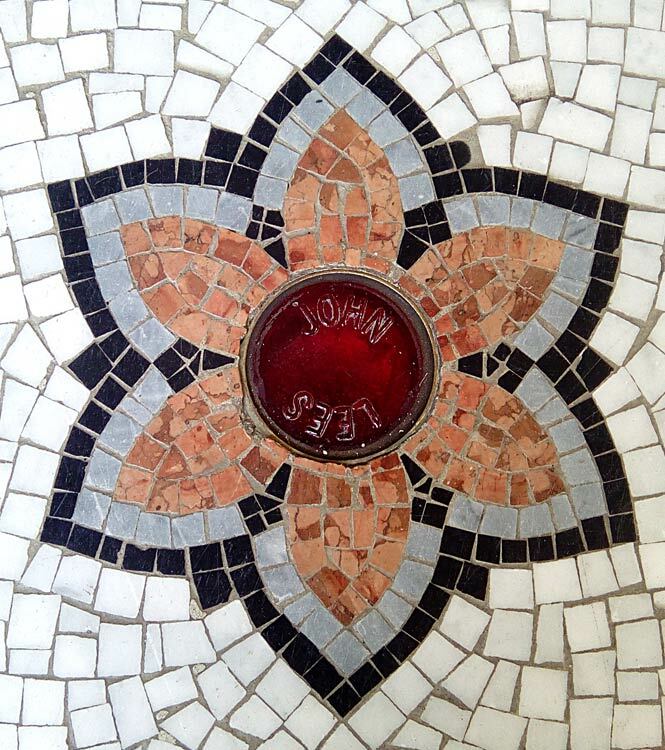 Memorial in the mosaic floor next to the library. He served as a soldier in the army, fought at Waterloo and survived. He died as a result of injuries sustained at Peterloo.